Jo Twist is a long-standing member of the BAFTA Games Committee and has also served on the Learning & New Talent Committee. 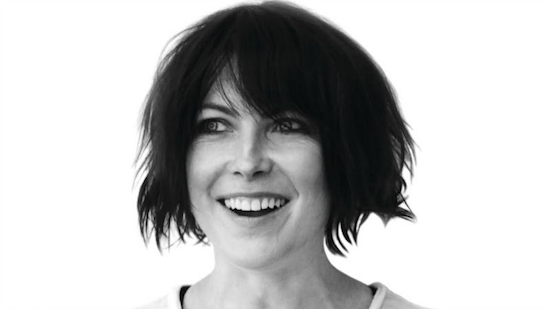 She has actively supported the BAFTA Breakthrough Brits and BAFTA Young Game Designers new talent initiatives, and sat on the organisation’s task force examining sexual harassment and bullying in the film, games and television industries. Twist takes up her role during a period of expansion, as BAFTA grows its games membership in the UK and North America, and seeks to promote the craft of game creation, and the cultural importance of games, to a global audience. Jo Twist said: “I’m delighted to be elected as the new Chair of the Games Committee and I thank all those who have put their faith in me. I would like to pay tribute to outgoing Chair, Nick Button-Brown, who has done an incredible job over the last two years along with the BAFTA staff: the plan to expand internationally, to continue to grow the body of games and interactive entertainment creators joining BAFTA’s mission, and the new Game Beyond Entertainment award category all signal a fantastic future for our interactive arts as part of BAFTA. Jo Twist is CEO of Ukie, the trade body for UK games and interactive entertainment, making the UK the best place in the world to make, sell and play games. In addition to her role as Chair of the BAFTA Games Committee, she is also Deputy Chair of the British Screen Advisory Council, London Tech Ambassador, an Ambassador on the Mayor of London’s Cultural Leadership Board, and Creative Industries Council member. In 2016 Twist was awarded an OBE for services to the creative industries and won the MCV 30 Women in Games award for Outstanding Contribution. She is a Vice President for games and accessibility charity, SpecialEffect and the UK Government’s Sector Champion for Disabilities. Previously, Twist was Channel 4 Education Commissioning Editor where she commissioned Digital Emmy-winning Battlefront II, free to play browser and iOS games and social media projects. Twist was Multiplatform Commissioner for BBC Entertainment & Switch, BBC Three Multiplatform Channel Editor, and technology reporter for BBC News. Her doctorate in the late 1990s was an ethnography exploring identity and concepts of difference in place based and virtual communities.